It feels good to be able to exhale. Portland Timber’s Darlington Nagbe could have had it far worse. 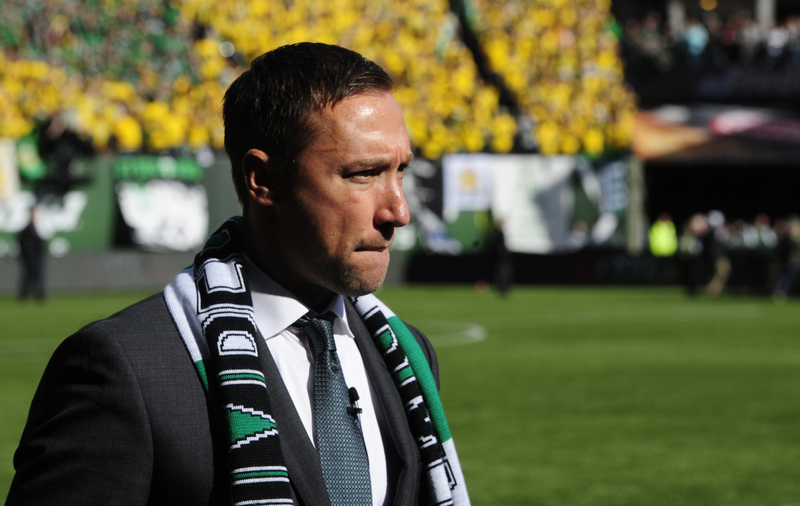 Caleb Porter finally released the results of Nagbe’s MRI results: medical ankle strain and contusion. We still don’t know when he’ll be back, and that’s because ligaments are so finicky. You break a bone, your body replaces the damaged bone with bone. Takes some time for the newly laid out woven bone to become organized, but still, it’s usually pretty predictable. However, soft connective tissue injuries such as ligaments, tearing one of those could be season ending, easily. I’ll admit, this was my first time seeing de Jong on the field for the LA Galaxy. It gave me the chills. I remember when he used to play against Arsenal as a Manchester City player during City’s wealthy rise to the top. Pick between his two nicknames, “The Destroyer” or “The Lawnmower”. Despite the consensus, De Jong was only awarded a yellow card and he claimed innocence by pointing to the ball after the play. Right. Good news, Nagbe will be back. Bad news, I doubt we know when exactly that will be. Really bad news, how’s Portland’s midfield supposed to survive without Nagbe? The guy has been on a meteoric rise since last season, even earning his first USMNT call-up. He has become a necessity to Porter’s tactical philosophy. Porter seemed to have finally pieced together a highly efficient and dominate base triangle in his midfield. It’s no coincidence that when he started pairing Valeri, Chara and Nagbe correctly in the midfield things started to ‘click’. It ‘clicked’ so well that the Timbers went on to win a historic MLS Cup Championship. At the top of the triangle sits Diego Valeri. He’s the man with the mercurial touch. Valeri creates opportunity, and his unselfish play sees him spray the ball across the pitch, stretching the opposition and generating space. But, Valeri has the freedom to be more attack orientated because of two other important players: Chara and Nagbe (aka the base of the triangle). Chara is the shield for the back four. Which we severely need because of Ridgewell’s injury and Borcher’s lack of pace. Chara offers excellent cover. His lungs carry him to drop as an old school “stopper” (it’s a position that was utilized more in the late 90’s and was an ultra defensive midfielder). He shifts to the wing to give time for our left, or right ‘forward’ to come recover. Chara does dirty work, and he does it well. Nagbe is developing into a box-to-box midfielder. Seriously. Think about it. With Valeri focused on distribution and assists and Chara consistently plugging any gaps in our defense, Nagbe is given the license to roam. That doesn’t mean that he doesn’t have to work, that means Nagbe can put his attention wherever the team needs him. Sometimes he’ll be seen in the thick of things being a ball winner near our box, carrying/transitioning the ball from the defensive half to offensive, distributing the play of the game, or having a shot on goal. He’s difficult to contain because he’ll do all of what I just mentioned, on the same play. Particularly with the Timbers current form, Nagbe’s absence will leave a gaping hole until he returns. His ability to be dominant on and off the ball separates him from other molds of players and allows the Timbers to run their midfield the way they do. I suspect Jack Jewsbury may come into the fold at midfield. He’s consistent, dependable, and keeps it simple. Jewsbury is a leader and a fan favorite. He has experience playing in the midfield, often starting before the rise of Chara and Nagbe, so he knows what to expect. But at 35, he may not be able to start for the Timbers week in and week out. Not because of a lack of effort, or love for the game, but because of father time. Let’s just hope we can bridge the gap until Nagbe returns.